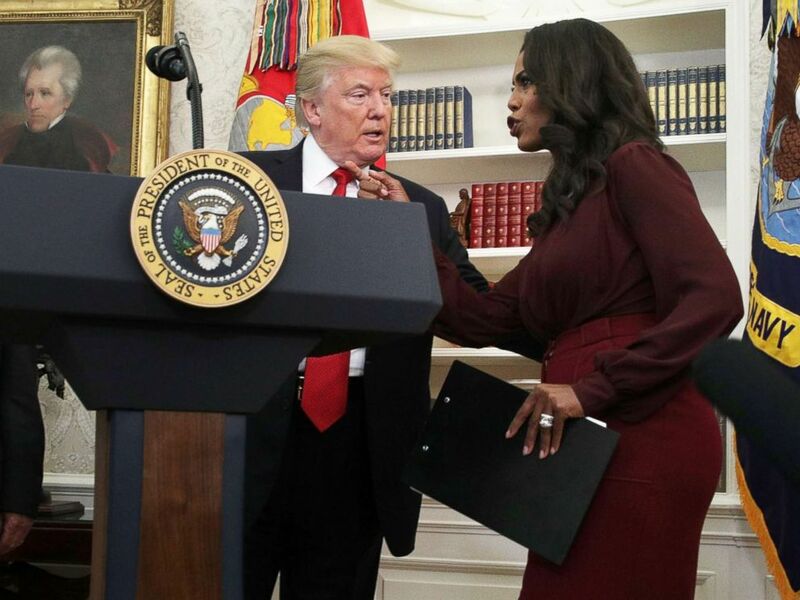 Reality-TV star turned White House staffer Omarosa Manigault today tried to set the record straight on her reportedly dramatic exit from the White House on Tuesday and alluded to situations in the White House "that have made me uncomfortable." "[Chief of staff] John Kelly and I had a very straightforward discussion about concerns that I had, issues that I raised, and as a result, I resigned," Manigault said on ABC News' "Good Morning America." 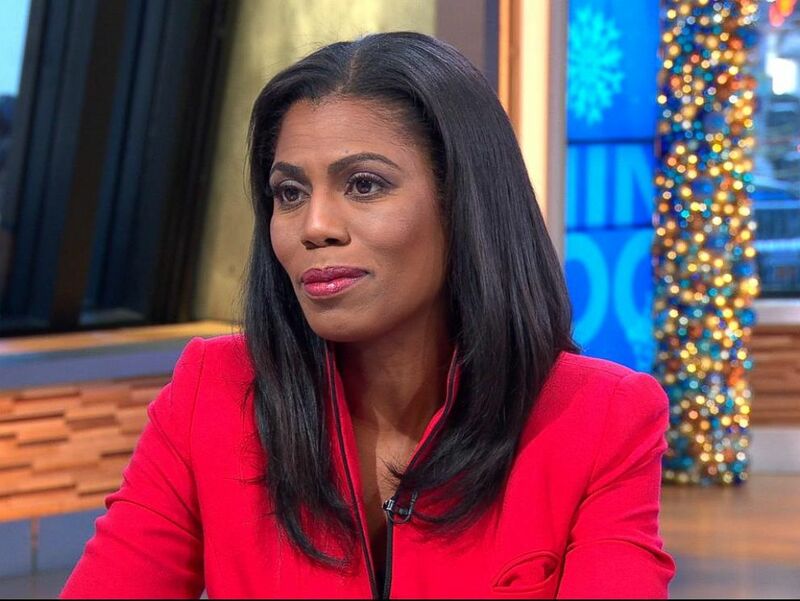 Omarosa Manigault appears on "Good Morning America," Dec. 14, 2017. There "were a lot of things that I observed during the last year that I was very unhappy with," she said. "But when I have my story to tell, as the only African-American woman in this White House, as a senior staff and assistant to the president, I have seen things that have made me uncomfortable, that have upset me, that have affected me deeply and emotionally, that has affected my community and my people. And when I can tell my story, it is a profound story that I know the world will want to hear," Manigault added. She and Kelly had a "candid conversation" in the White House Situation Room, she said. President Donald Trump listens to Director of Communications for the White House Public Liaison Office Omarosa Manigault during an event in the Oval Office of the White House in this Oct. 24, 2017 file photo in Washington. White House sources told ABC News she was fired and escorted off the White House grounds. But Manigault today denied she was fired and escorted off the premises by the U.S. Secret Service. The agency also denied on Twitter on Wednesday that personnel physically removed her from the complex. Manigault said that the Secret Service did deactivate her pass, reducing her access to the more classified areas. Her departure was a long time coming, and Kelly's decision to limit access to the president was a source of tension for her, according to multiple sources. She said, however, Kelly brought "much needed order to the West Wing," denying that he restricted her access to Trump. But she added, "Certainly I had more access than most, and people had problems with that. People had problems with my 14-year relationship with this president." A White House official said in a statement Wednesday that she resigned "to pursue other opportunities." Manigault, 43, will stay on until Jan. 20, according to the White House. A former "The Apprentice" contestant, she served on Trump's transition executive committee and was later hired as communications director for the Office of Public Liaison in the White House. She had worked in Vice President Al Gore's office during Bill Clinton's administration. In her role in the Trump administration, Manigault was among the White House advisers earning the highest salary ($179,700 a year), according to a White House list of staff salaries. She was in charge of outreach to the leaders of historically black colleges and universities and oversaw Trump's visit to the Smithsonian's African-American museum in Washington, D.C. But Manigault's day-to-day duties could not be pinpointed and, according to Politico, she used the White House as a backdrop for her 39-person bridal party to take wedding photos.